What is your quest? The Quest jersey will take you there. 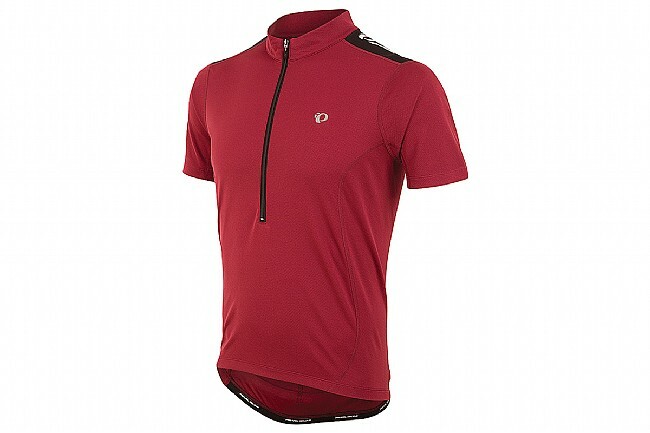 Pearl Izumi's Quest Jersey is a classic jersey made with the company's advanced fabric technology to go the distance. Select Transfer fabric offers superior comfort, durability, and moisture wicking to keep you cool and dry on your journey. The 13.5" hidden front zipper allows for customized on-the-go ventilation. Three rear cargo pockets for wallet, patch kit, snack, whatever you need for your personal quest. Reflective elements help keep you visible. Fabric is 80% Polyester, 20% Lycra. Semi-form fit. NIce fit for me, smooth texture material, provides good visbility on the highway. Good quality, great price, like the high visibility color.